The Congress on Friday said it supported a consensus on the next President and that the name should first come from the Bharatiya Janata Party, which leads the National Democratic Alliance government at the Centre. "It would be good if the President is chosen through consensus. We were expecting that the ruling party will come up with a name first. 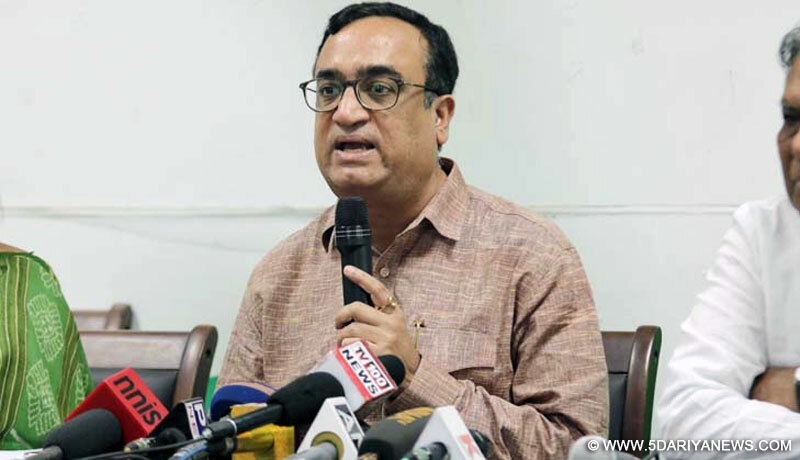 When they come up with a name, only then can we react," said Congress spokesperson Ajay Maken.About BJP leader Shatrughan Sinha proposing veteran BJP leader L.K. Advani for the top elected post in the country, Maken said: "Hypothetical questions cannot be replied in this manner. The Congress can't comment on an individual's remarks. "A two-member BJP team on Friday began formal consultations on the July 17 election with the Congress and other major opposition parties, who made it clear that a consensus will not be possible without the ruling side giving the name of its candidate.